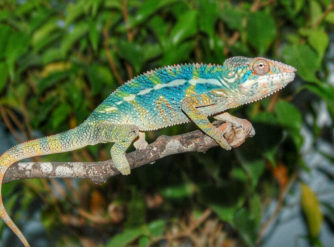 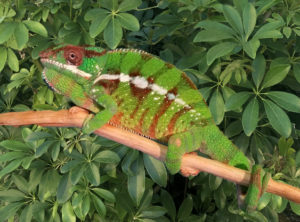 We are offering the younger brother of this gorgeous holdback Blue Bar Ambilobe Panther Chameleon for sale. 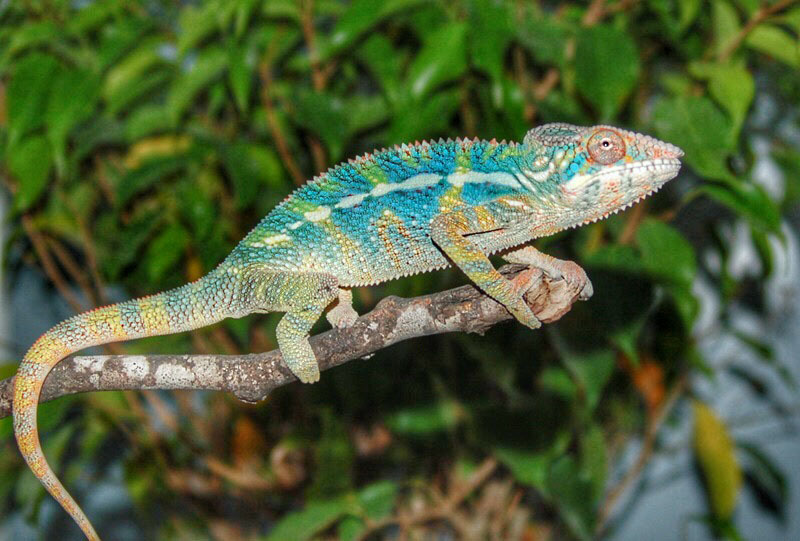 This younger brother of this juvenile ambilobe panther chameleon will be unbelievable. 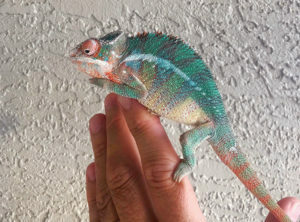 You can see in this one all the colors of the rainbow starting to appear with this juvenile ambilobe panther chameleon. 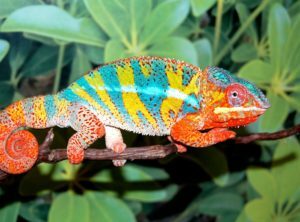 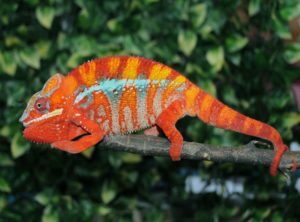 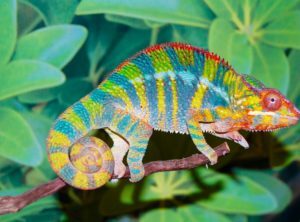 Ambilobe Panther Chameleons are the most colorful of all panther chameleon locales. 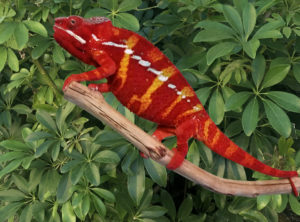 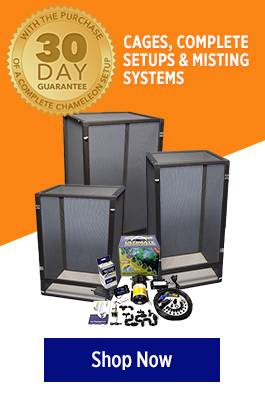 From time to time we will holdback certain panther chameleons that we see with great potential and hold them back for breeding.Now is your chance to purchase an incredible Ambilobe Panther Chameleon.